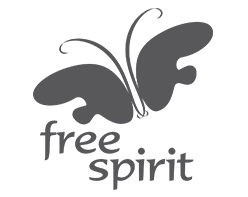 FREESPIRIT ENTERTAINMENT PVT. LTD. was started by Raajeev Sharma, a veteran of the Indian music industry, as a music label focused on World/ Lounge & Traditional music. It creates albums of Indian artists aimed at the international market. The label has produced path breaking albums like ‘Rhydhun’ by Taufiq Qureshi, ‘Reiki’ by Rakesh Chaurasia and 2015 Grammy Winner, Ricky Kej. The artistes creating lounge music for FreeSpirit are among the biggest names in Indian classical and fusion music. 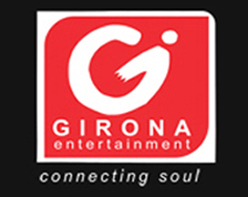 GIRONA ENTERTAINMENT, is an integrated entertainment enterprise that creates, aggregates and disseminates content of various genres across multiple business verticals like music, movies, television software and new media. Kolkata based Girona has a strong catalog of Bengali non film albums. The focus has been on traditional, folk and classical music which means some very interesting Baul music, Bhatiali music, Nazrulgeeti and Rabindra Sangeet along with a lot of devotional music and modern songs as well. RAJSHRI ENTERTAINMENT PVT. LTD. Is India’s leading digital entertainment studio. It is part of the 67-year-old Rajshri group, India’s leading film and TV studio. 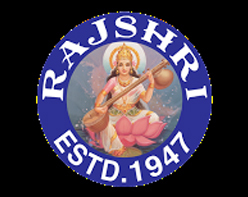 Rajshri Entertainment has a relatively small but strong music catalogue that includes some big Hindi pop music albums by Shubha Mudgal, Milind Ingle and Sonali Vajpayee, a strong kids catalogue, devotional music and of course some blockbuster Bollywood soundtracks. The company owns the copyrights to the soundtracks of ‘Hum Saath Saath Hain’, ‘Main Prem Ki Deewani Hoon’ and ‘Vivaah’ among others. 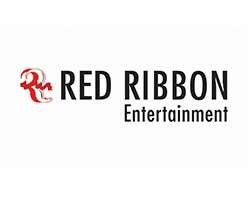 Red Ribbon Entertainment Pvt. Ltd. is a music company that aspires to promote high quality Indian music across the globe. With this objective, Red Ribbon has developed an impressive catalogue of music spanning genres as diverse as film music , devotional, romantic, fusion, sufi, ghazals, children’s music and health and wellness in multiple regional Indian languages. The catalogue boasts an impressive line up of popular Indian artists like Sonu Nigam, Daler Mehndi, Shankar Mahadevan, Shreya Ghoshal, Javed Ali, Roopkumar Rathod, Jagjit Singh, Ustad Sultan Khan and many others. Set up in 2008, Red Ribbon is headed by Lalitya Munshaw, herself a versatile singer and performer. The company has also set up two recording facilities in Mumbai. 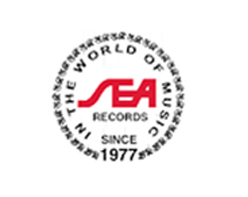 SEA RECORDS Was started in 1977 by Mr. Anand Reddy in Chennai at a time when there was no music label in Southern India. The label has a rich and varied catalog ranging from film soundtracks in the four South Indian languages and Hindi, to popular and spiritual music to Hindustani and Carnatic Classical recordings. Some of India’s finest artists like S.P. Balasubramaniam, Unnikrishnan, S. Janaki, P. Susheela, K.J. Yesudas and Gopika Poornima among several others, have recorded for Sea Records. 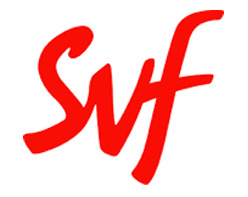 SVF Entertainment Pvt. Ltd. is an Indian media and entertainment company headquartered in Kolkata, West Bengal. SVF Entertainment Pvt. Ltd. was started in 1996 by Shrikant Mohta and Mahendra Soni, who transformed it into one of the biggest media and entertainment houses in eastern India. Apart from producing and distributing Bengali films, SVF has distributed Bollywood and Hollywood films in eastern India. The other divisions of the company include Exhibition, TV Production, Digital Cinema, Music, Home Video and IPR syndication. SVF was in Anandabazar Patrika's powerlist for 2008 and 2010. Shemaroo Entertainment Ltd., was founded on 29 October 1962, in Mumbai, as a book circulating library, and today they are an established integrated media content house in India with activities across content acquisition, value addition to content and content distribution. Ghatothkach is the company's second animated film, which they co-produced with Sun Animatics. Their Content Library consists of more than 2,500 titles spanning new Hindi films such as Ishqiya, Slumdog Millionaire, Ajab Prem Ki Ghazab Kahani, Omkara, Dil Toh Baccha Hai, Chandni Chowk to China and Bheja Fry 2, amongst others. Hindi film classics such as Mughal-e-Azam, Shree 420, Mera Naam Joker, Anand, Amar Akbar Anthony, Namak Halaal, Kaalia, Madhumati etc. and titles in various other regional languages such as Marathi, Gujarati, Punjabi, Bengali among others as well as non-film content are part of their repertory. They are one of the largest independent content aggregators of Bollywood and CGI animated films such as Bal Ganesh. Maaza Navra Tuzi Baiko was Shemaroo's first film in the regional category, which was the highest grossing movie in Marathi Cinema for the year 2006. 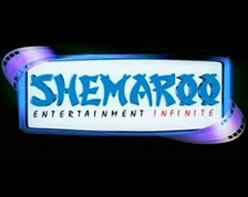 Today, Shemaroo is an integrated film production, post production, distribution and animation studio. 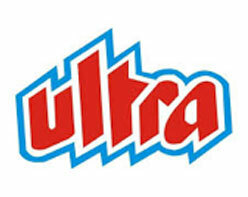 Ultra Media & Entertainment earlier known as Ultra Distributors, is an Indian Film production company established in the year 1982. It started out in Home Video distribution and gradually forayed into film production and theatrical distribution. It is also engaged in multiple aspects of entertainment, including post production services and film distribution. Ultra has a library of over 1500 titles of award winning and blockbuster feature films, TV dramas, animation, music and digital content. The company is into post production services such as scanning, restoration, colorization, 2D to stereoscopic 3D conversion and merchandising. Turnkey Music & Publishing Pvt. Ltd.